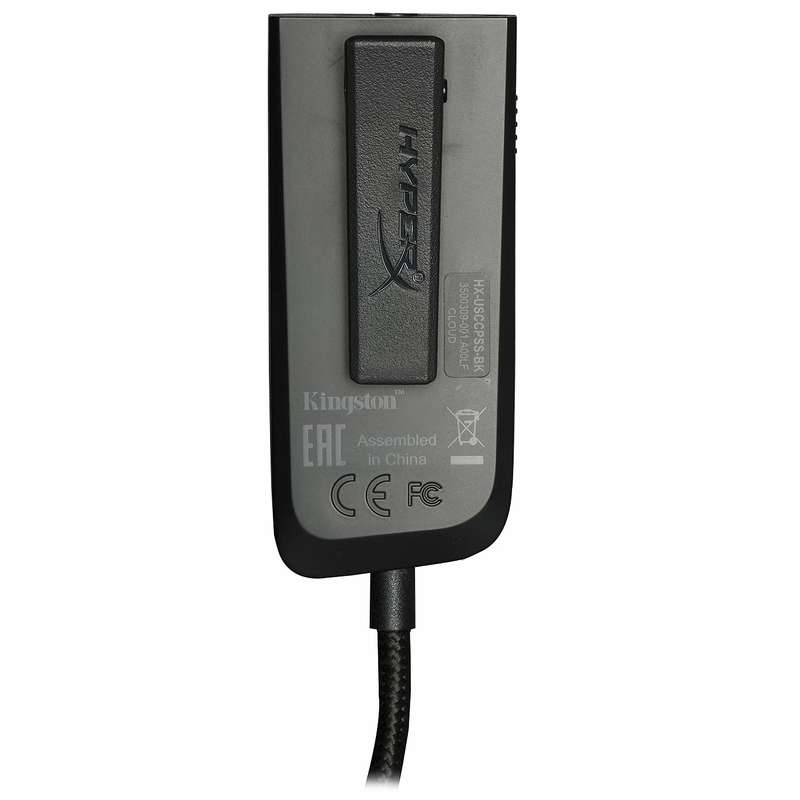 Virtual surround sound at your fingertips. 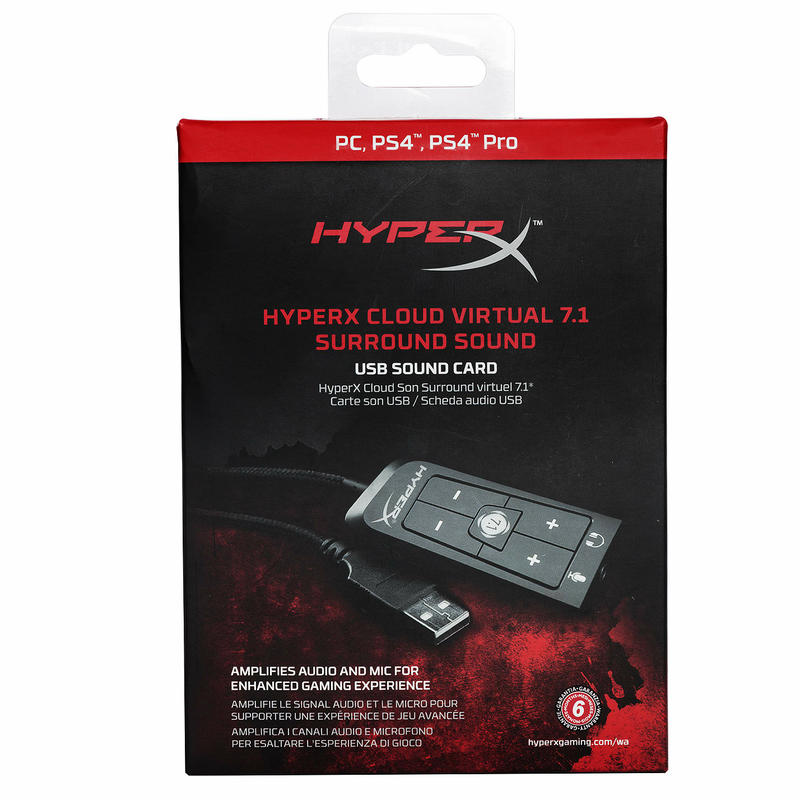 The HyperXTM Cloud Virtual 7.1 Surround Sound USB Sound Card is the perfect upgrade for your stereo headset. 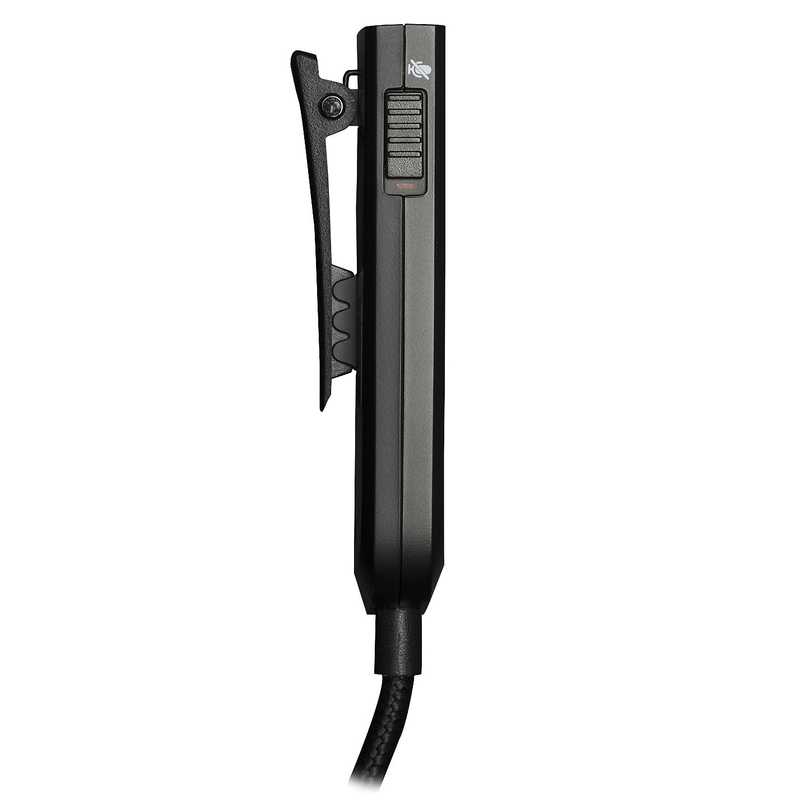 Take your headset to the next level and get the audio advantage that Plug N Play Virtual 7.1 Surround Sound* provides. 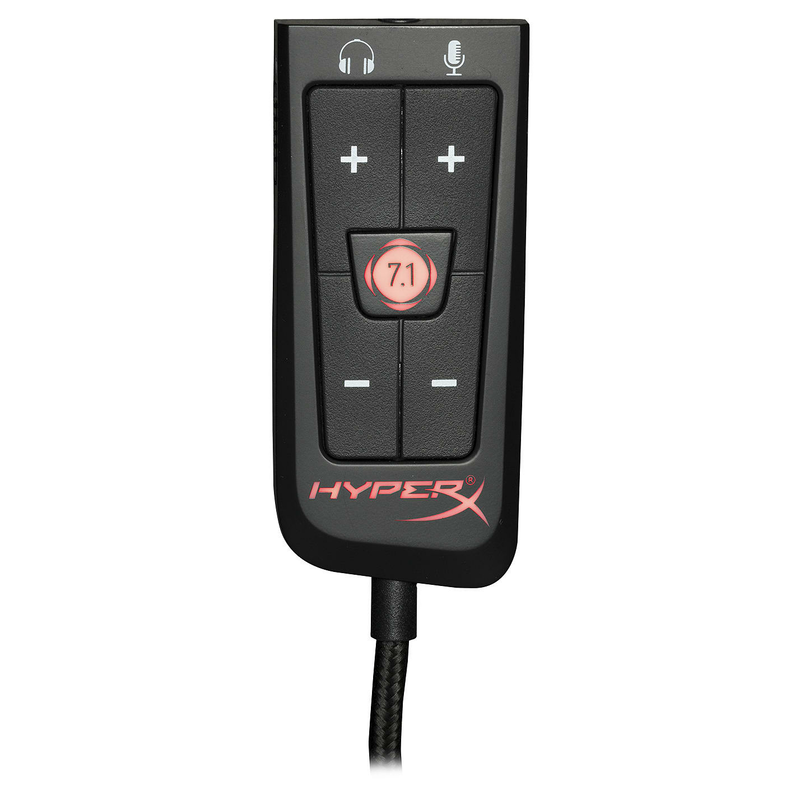 Instantly mute the mic, engage surround sound audio, and adjust mic and headphone volumes with the convenient audio control box. 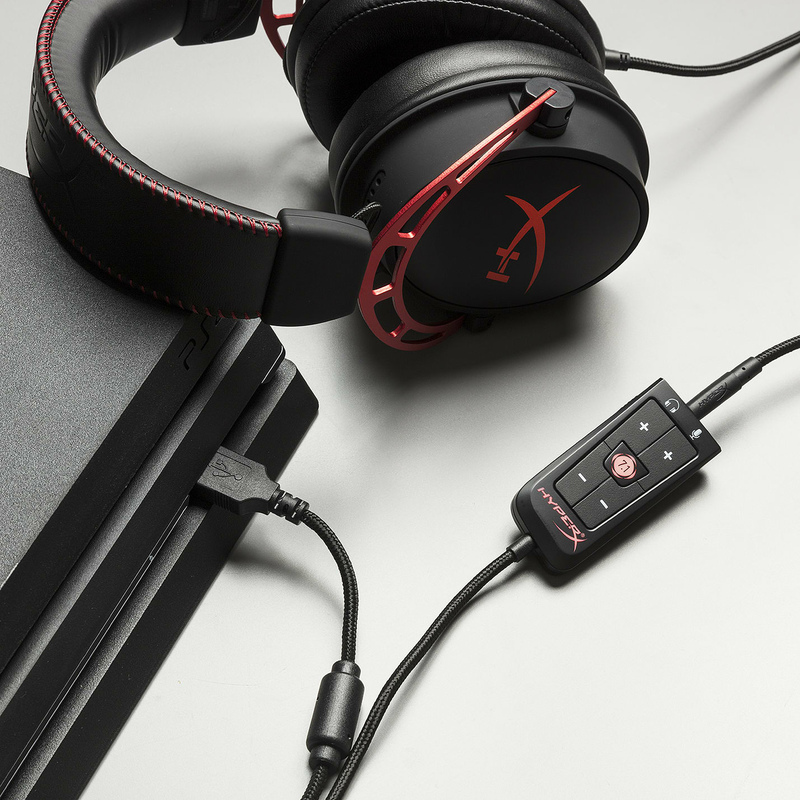 The sound card’s digital signal processing will give your microphone enhanced noise cancellation, and the extra long braided cable gives you room to connect from couch to console. 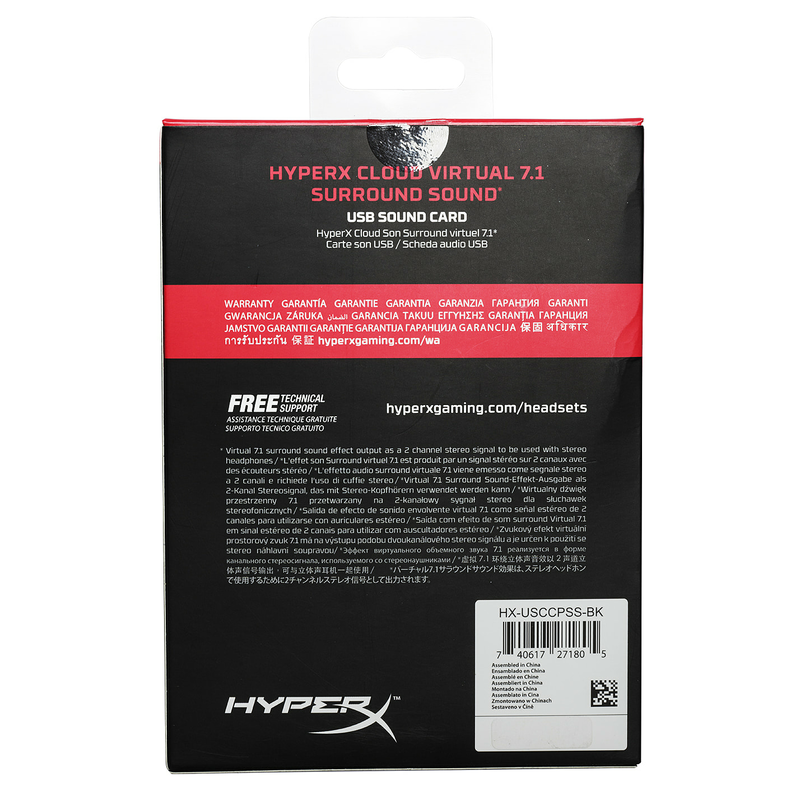 * Virtual 7.1 surround sound effect output as a 2 channel stereo signal to be used with stereo headphones.